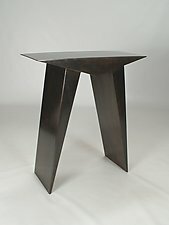 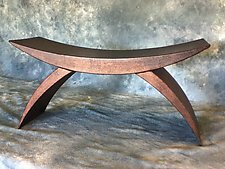 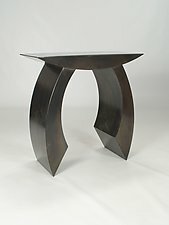 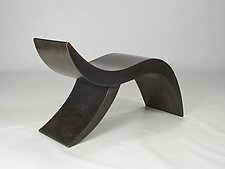 "Form, function, and beauty: These three ideas exist equally within the creative genesis of all things and form the foundation upon which I strive to create"
In his furniture designs, Eric Reece attempts to eliminate preconceptions concerning the material of steel. 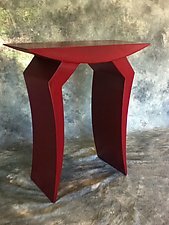 By choosing to design with soft curving lines and pointed feet, Reece lends a sense of dancing, light-weight form and natural grace to materials industrial in origin. 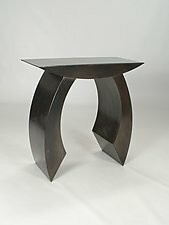 Through an exacting application of heat and force, Reece manipulates sheet steel. 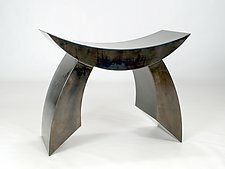 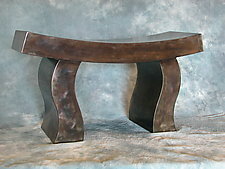 He fuses old and new techniques of forging and welding, and finishes each piece by applying a hand patina to create a natural softening touch.